Image Credit: NASA, CXC, GSFC, Stephen Walker, et al. Explanation: The cosmic swirl and slosh of giant waves in an enormous reservoir of glowing hot gas are traced in this enhanced X-ray image from the Chandra Observatory. The frame spans over 1 million light-years across the center of the nearby Perseus Galaxy Cluster, some 240 million light-years distant. Like other clusters of galaxies, most of the observable mass in the Perseus cluster is in the form of the cluster-filling gas. With temperatures in the tens of millions of degrees, the gas glows brightly in X-rays. 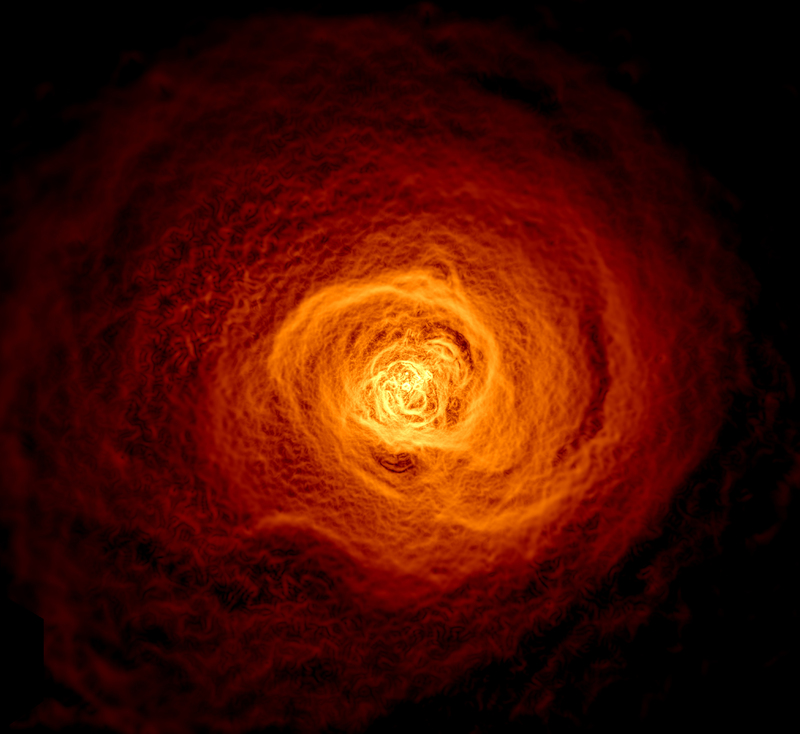 Computer simulations can reproduce details of the structures sloshing through the Perseus cluster's X-ray hot gas, including the remarkable concave bay seen below and left of center. 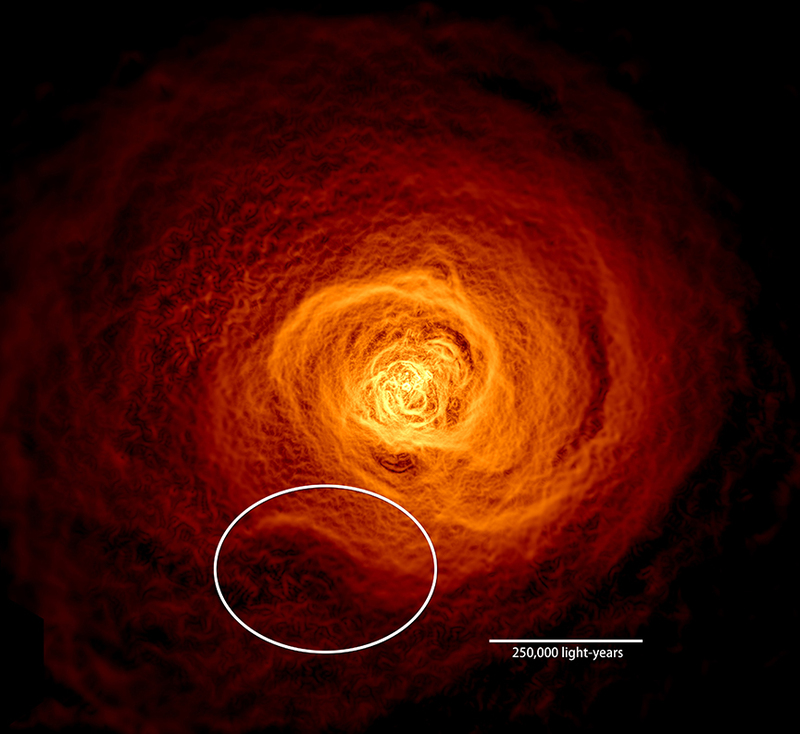 About 200,000 light-years across, twice the size of the Milky Way, the bay's formation indicates that Perseus itself was likely grazed by a smaller galaxy cluster billions of years ago.